Find this review on ManhattanMovieMag.com! Predators (2010) is supposed to be a 21st century update on a beloved scifi flick from the Reagan administration. The 1987 original, of course, starred Arnold Schwarzenegger (now Governor of California, who can be seen in the ongoing thriller Budget Deficit) as a tough-as-nails mercenary type who lands in the jungle and must take on an alien killing machine with dreadlocks. (And infrared vision, a built-in ray gun, the ability to become invisible…you get the idea.) 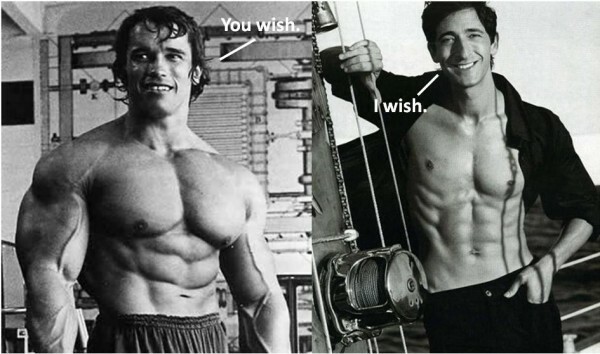 Arnie used brains and brawn to eventually outwit the monster, and it seemed like a franchise had been born. Oddly, unlike the wildly successful and contemporaneous Alien films, Predator spawned only one sequel (1990) and then lay dormant until the brainwave that was Alien vs. Predator arrived in 2004. But that film, ingenious as its premise was—take two monsters and put them in the same movie!—didn’t really feel like an honest-to-god sequel. This left the proverbial door open for Predators, which lumbered onto screens nationwide last weekend. On its own, it’s not a great film. 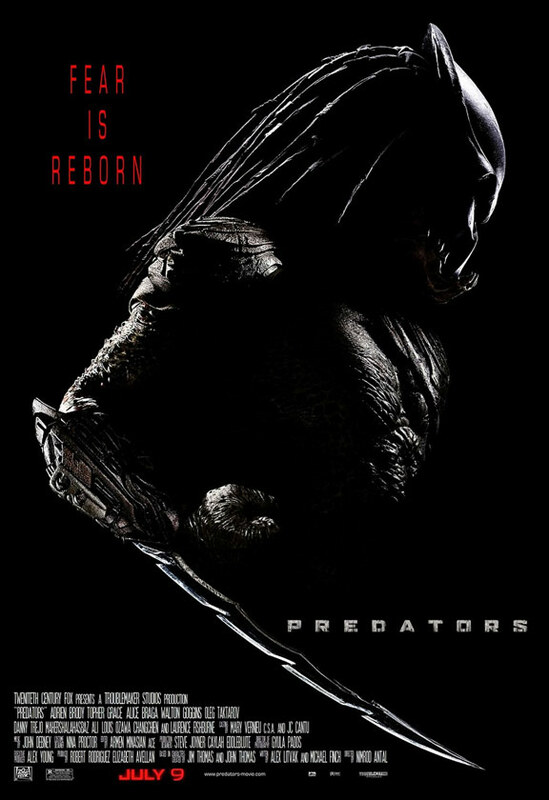 The characters are wooden, the dialogue is uneven, and no one ever really explains the film’s premise (a bunch of mercenary types plus a convict and a doctor get dropped onto an alien planet to act as game for sport-happy Predators). It’s hard to really get invested in Predators because the characters aren’t sympathetic, and the editing is so rushed that it can be hard to tell what’s going on. It feels more like a made-for-TV movie than an actual feature film. This is especially disappointing given the film’s director, Nimod Antal, began his career in 2003 with the excellent Hungarian film Kontroll and then apparently sold out to Hollywood (his next film, Vacancy (2007), was almost shockingly bad). That being said, the creature CGI in Predators is reasonably engaging—the Predators themselves are guys in suits, much along the line of the uruk-hai in the Lord of the Rings films. There are various CGI beasties who periodically swoop in and attack the unlucky pack of humans, and those few truly suspenseful moments are pretty fun to watch. The elephant in the room in this film is the fact that Arnie’s role as ultimate alpha male has been taken over by…Adrien Brody. A bizarre casting choice to be sure, but Brody, an Oscar winner, gamely attempts to morph himself into an action hero. The results are mixed—while he growls all of his lines with an appropriate devil-may-care affect, it’s just really difficult to take him seriously. The film’s climactic moment involves Brody doing shirtless battle with one of the Predators, and while he’s certainly not the wisp he was back in The Pianist, there’s something about him that just doesn’t work in this context. The film’s only woman, played by Alex Braga, often seems the most macho of all the characters. It’s worth noting that America’s concept of masculinity has changed dramatically since 1987—when the Reagan administration had ordered real-life mercenaries into real-life jungles in Central America—but it seems the action film hasn’t evolved, even if the action hero has. What Predators needs in Brody’s role is an absolute stereotype, and perhaps because Brody is known for intimate, idiosyncratic characters, he actually needs to work harder to portray a less complicated one. The buzz about Splice has been almost universally positive. Manohla Dargis of the New York Times described it as “a lot of unnerving fun,” and David Edelstein, on Fresh Air, lauded it as “a strange and wonderful brew!” I agree wholeheartedly with these assessments…but only as they apply to the first half of the film. Let me explain. The film starts out entirely in a good direction—we’re introduced to Clive (Adrien Brody) and Elsa (Sarah Polley), glamorous scientists working on the bleeding edge—literally—of biology. (Already we’re surrounded by horror movie lore: Clive is a reference to Colin Clive, the actor who played Dr. Frankenstein in the 1931 classic, and Elsa refers to Elsa Lanchester, the actress who wore the wig as the titular Bride of Frankenstein.) They’re hard at work synthesizing new life forms, and the beginning of the film delves right into all sorts of squishy, uncomfortable subjects like abortion, infertility treatment and the grey area between a “bunch of cells” and an actual being. The dialogue may be a little stilted but there’s just the right mixture of tension and introspection to make things interesting. So far, so good. Inevitably the two scientists experience a fall from grace, which in this case is brought on by their ill-advised decision to mix human DNA in with one of their experiments. The resulting creature, Dren (“nerd” backwards) comes into the world violently, injuring Elsa in the process—a sign of things to come. As Dren evolves from being tiny and rodent-like to being obviously part human, it is clear that Elsa harbors an affection for her that goes way beyond scientific interest. By explicitly linking the feminine with the biologically transgressive, Splice harkens back to some of the great horror/sci-fi films: Demon Seed (1977) and The Brood (1979) are the most obvious examples, but the film alludes to everything from the Frankenstein series to the Alien films to another Cronenberg masterpiece, The Fly (1986). 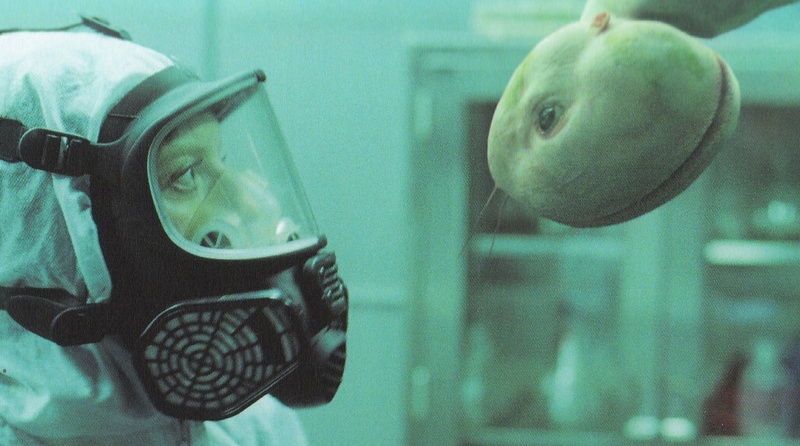 Unlike Cronenberg’s films, which stayed true to their cringe-inducing purposes to the bitter end (and became legendary in the process), Splice makes a violent turn about halfway through, refocusing on Dren as a proxy child at the center of an Oedipal merry-go-round and abandoning its initial concern with much more interesting subjects, like, you know, the nature of being human. Instead of exploring the social consequences of creating a semi-human hybrid, the film devolves into a bizarre, futuristic soap opera; Clive becomes attracted to Dren, and Elsa’s dormant maternal instincts reveal themselves to be alternately tender and so cruel that she seems like a transplant from a Brian De Palma film. In fact, De Pama is an apt figure to invoke here. I’ll spare you the details of how everything ends—my theater laughed through the last half hour, so you can bet it wasn’t good—but suffice it to say that the moral of the story turns out to be yet another cautionary tale about the dangers of women in general and motherhood in particular. Think Carrie meets Alien, but…bad. Director Vincenzo Natali (Cube) and executive producer Guillermo Del Toro had all the elements in place to make the next great horror/sci-fi film, or at least the next passable one. Instead Splice ends up being its own special hybrid: half great, half awful.